The advances in healthcare technology over the past 25 years have changed how we will deliver care into the future. With the advent of artificial intelligence software capable of reading diagnostic imaging, to telemedicine via an app on your phone, to the editing of the human genome for the treatment or prevention of advanced disease, healthcare now more than ever seems to have become detached from hands-on patient interaction. Our healthcare organizations have made contributions to the advancement of medicine and quality of care over the same time period. Most of this focus has been directed toward quality of care initiatives via the patient experience and patient satisfaction route, with an overall patient centered care philosophy. These contributions can be seen as more patient or consumer driven, are identifiably measurable, and have recently began to be used as a comparison tool amongst other healthcare organizations locally and nationally. Healthcare has always been about the patient; we can’t argue that fact. Without the patient none of us would be here today in the professions we serve in. The question we need to focus in on is how the dynamics of the other “P’s” in healthcare (ie, Providers, Payers, Pharma, Politicians) have used the patient as a platform for their own means or agenda, detracting from true improvements in medical quality of care. It isn’t necessary to look very far for affirmation of this fact. The political battle for a new healthcare plan solution; pharmaceutical companies releasing orphan drugs at 5000% price increases; and competing healthcare organizations opening freestanding ERs one mile apart from one another all prove this point. Healthcare is an industry giant, serving a very specific population or customer segment, but carries the weight of the “800lb gorilla” when it comes to both social and political impact. 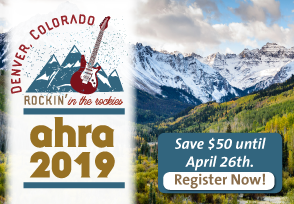 My AHRA Spring Conference session, Healthcare, It’s All About the “P,” is meant to truly turn the focus back on the patient within the healthcare environment, while acknowledging that we live in a world where many external influencers, such as HCAHPS or Meaningful Use/MACRA, impact the patient on a daily basis. As healthcare providers we have become the victims of these external influencers to the extent that our own patients find it difficult to understand if they have encountered a quality patient experience/satisfaction versus a medical quality of care experience, two very distinct outcomes. As healthcare providers, we have come to believe that these subjective patient surveys, whatever form or fashion they come in, tell the true story of the patient, whether it be good or bad. So, if you believe healthcare is all about the “P,” I ask that join me on Saturday, March 11 for my session at the AHRA Spring Conference from 1:30-2:30 PM and bring forth a willingness for some open discussion and interaction. Michael Peters, MBA, CMC, RT(R)(T) is the founder/CEO of US Cancer Specialists, LLC. Michael assists organizations with the development of differentiated imaging and cancer related service offerings and can be reached at mpeters@uscancerspecialists.com.